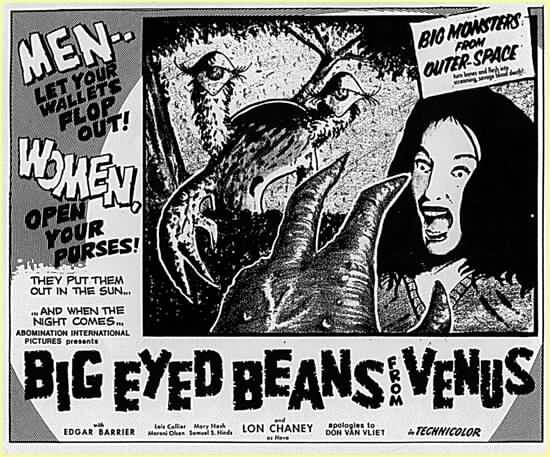 A 50s B-movie horror called Big Eyed Beans From Venus? Could it be true? Well, no actually. Excerpted with the permission of SpiderBaby Grafix, from the comic book story “Forgotten Fears of the Fifties!” copyright 1978, 1999 Stephen R. Bissette and respective collaborators; originally published by Larry Shell in 50’s FUNNIES.